Do you run a training institute and are looking forward to spreading the word about it? Well, there are various promotional mediums that will help you here such as flyers, brochures, posters, postcards, rackcards, ad banners and so on. The good thing is that today you have various training institute templates for any sort of promotional medium mentioned above and all of them will enable you to market your ideas with images and text. These templates are easily editable with your own data. You can also see Training Plan Templates. 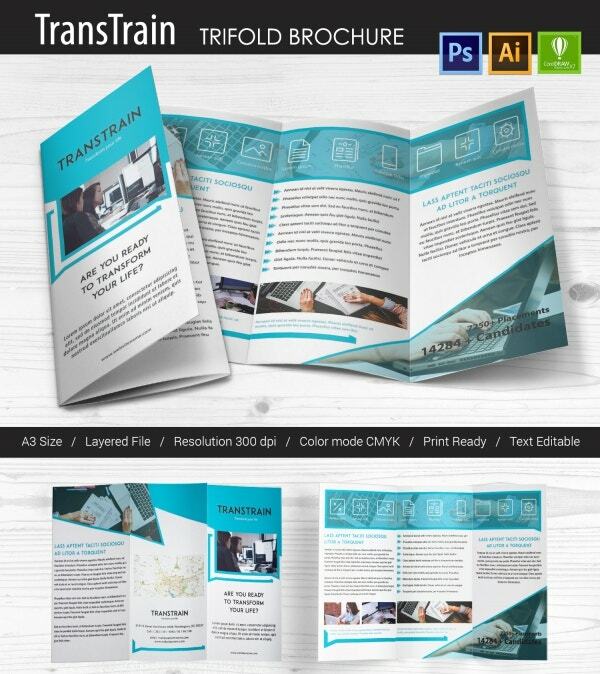 You have a smart tri-fold brochure template here in A3 to promote your training institute. It comes with completely editable text in a layered file with 300 dpi resolution. 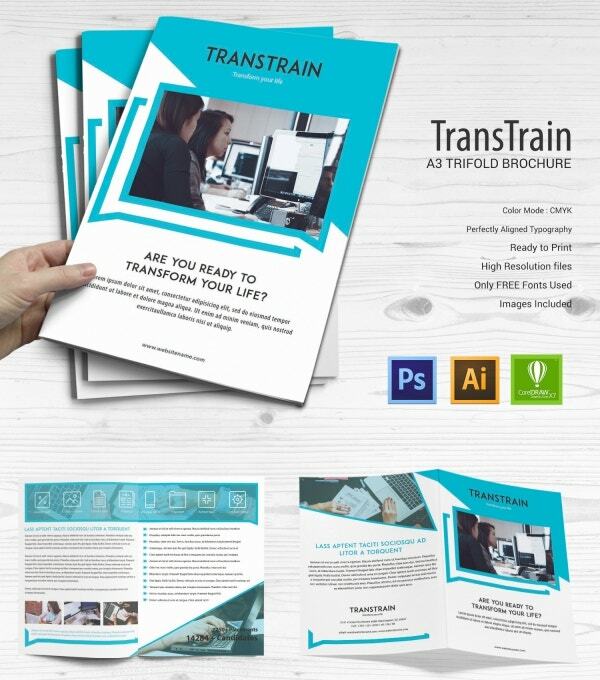 The brochure template will also enable you to include several images, include one of your team right on the cover page of the brochure. 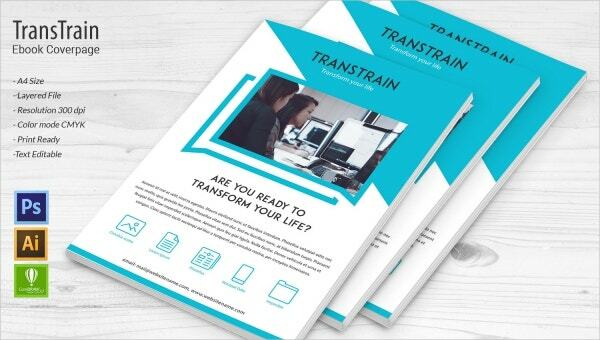 You have an elegant A4 Bi-fold brochure here for your training institute where you can highlight your message in both pictures and text. The third page will allow you to state the best bits about your training programs or the different training programs that you offer in clear bullet points. The text is completely editable. 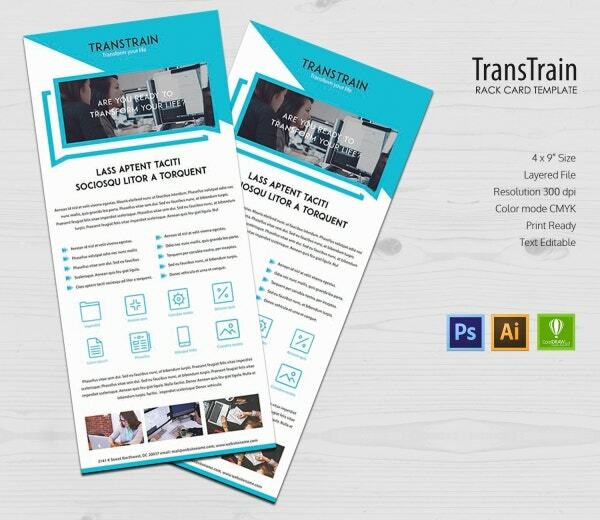 Ad banners are effective in spreading the word about your training institute and this template bundle here comes with as many as 5 ad banners in different sizes. The dimension of the banners ranges from 160 x 600 to 728 x 90. 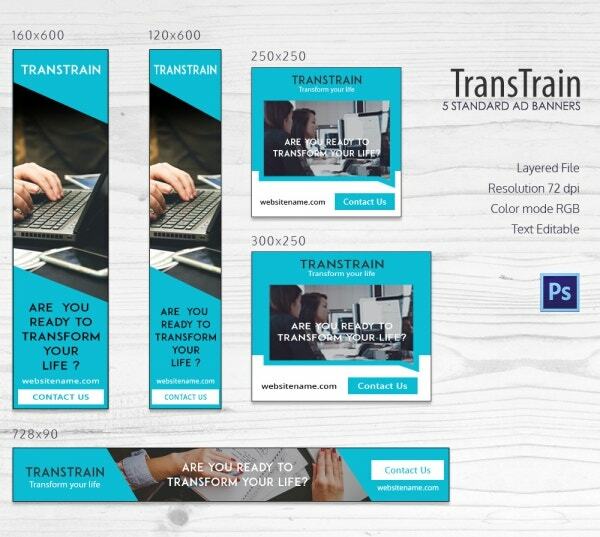 All the banners will allow you to advertise with picture (72 dpi resolution) and the text is easily editable. 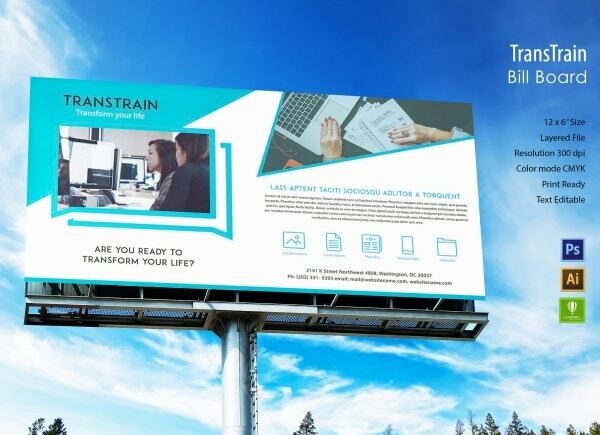 You have a classy and suave billboard template here in a 12 x6-inch size. On the left, you can include a sizeable clear picture of your institute or trainers in 300 dpi resolution and another picture can be added as a watermark at the right. The billboard has enough space to include your slogan, the main features of the organization, and the contact details. 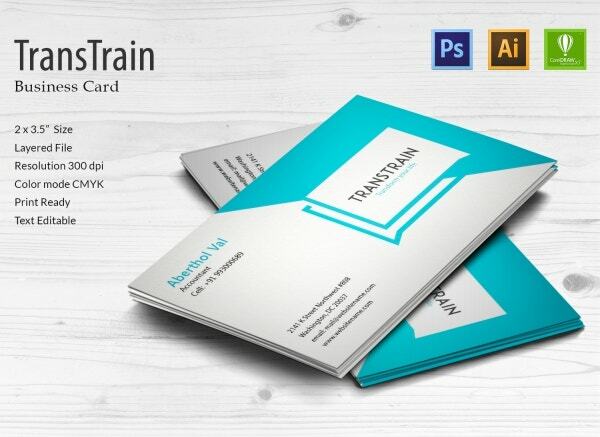 If you are looking for a simple, minimalistic yet elegant business card for the staff of your training institute, this business card template would be good. It starts with the name of the employee at the top left followed by his or her phone number and at the bottom, you have the contact details of the organization. The institution logo would be on the right. You have a smart ebook coverpage here which enables you to highlight your training institute with a picture at the center followed by your slogan and tagline. Below that, you can present a brief message regarding the ebook and then you can also add illustrations to state the main aspects of your training or the lessons described in the ebook. 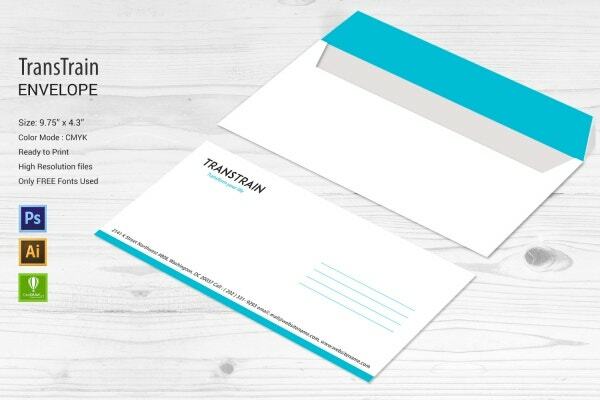 You have an elegant corporate 9.75 x 4.3-inch envelope template here. The pristine backdrop looks smart and professional with a suave minimalistic appeal. At the back of the envelope, you will get space to write in the name of your training institute and you can even add the contact details of your organization at the bottom. 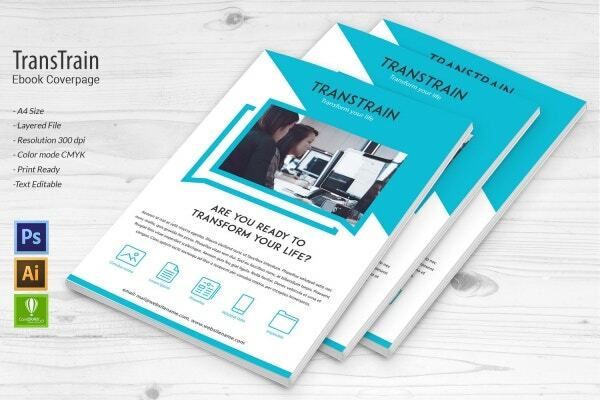 Are you looking to design promotional flyers for your training organization? Well, this classy vibrant flyer template will enable you to promote your institution with both picture and text. It carries a dimension of 8.5 x11-inch and the nicely layered file allows you to mention your institute’s name, it’s tagline, the main promotional message in brief and various highlights of your organization. 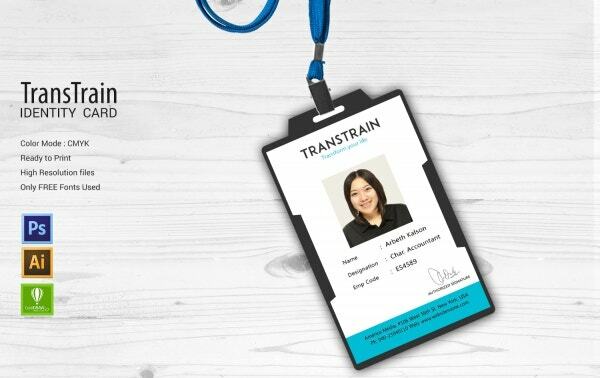 If you are looking to design ID cards for your trainers and other staff, this is the id card template for you. It will allow you to add a sizeable picture of your employee followed by basic identity details about him or her such as the name, the designation and the employee code. The space below can be utilized to post the contact details of your training institute. You have a well-layered invoice template for your training organization which you will hand out to the trainees while they submit their training fees. It comes up with all the needed columns required in a standard invoice such as the item number, description, quantity, rate, amount etc. 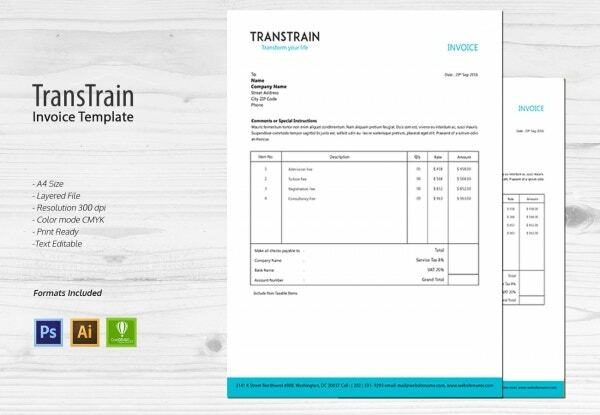 The A4 size invoice template starts with your organization’s name and ends with your contact data. 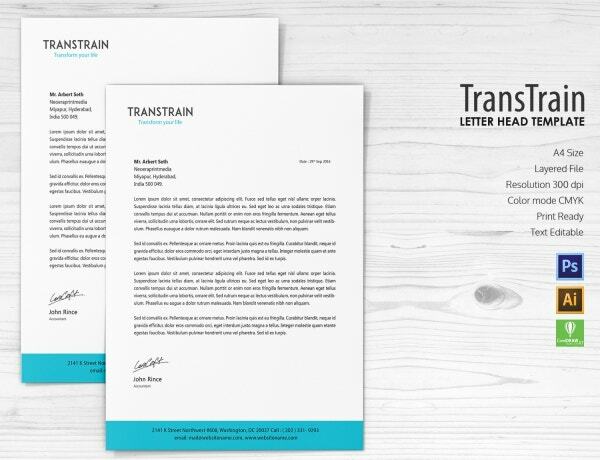 You are getting an A4 size letterhead template here for your training organization in an elegant and smart layout. It starts with the name and tagline of your training institution, followed by ample space to note down your letters or declaration. The blue space below will host the contact details of your organization. 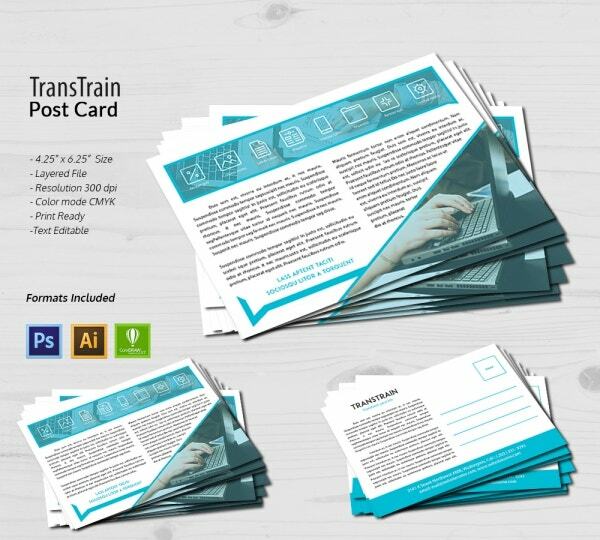 The postcard template will serve as a miniature form of your training institute website where you can brief about the main message and the highlights of your organization. 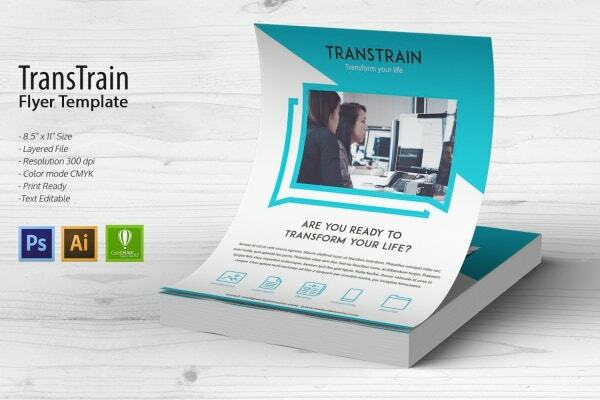 You can also include a picture in the watermark on the front side of the postcard along with illustrations highlighting the benefits of taking training from your organization. 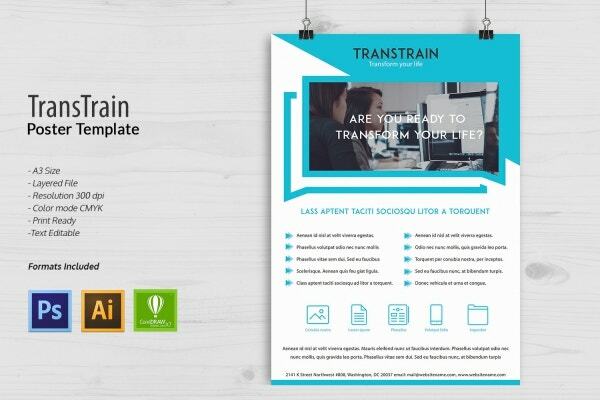 This is a neat and smart poster template which will be a good promotional tool for your training organization. It starts with the name and tagline of your organization followed by a suitable image. Below, you can mention the major aspects or the main benefits of your training organization in precise bullet points for an easier understanding of your premium training service. 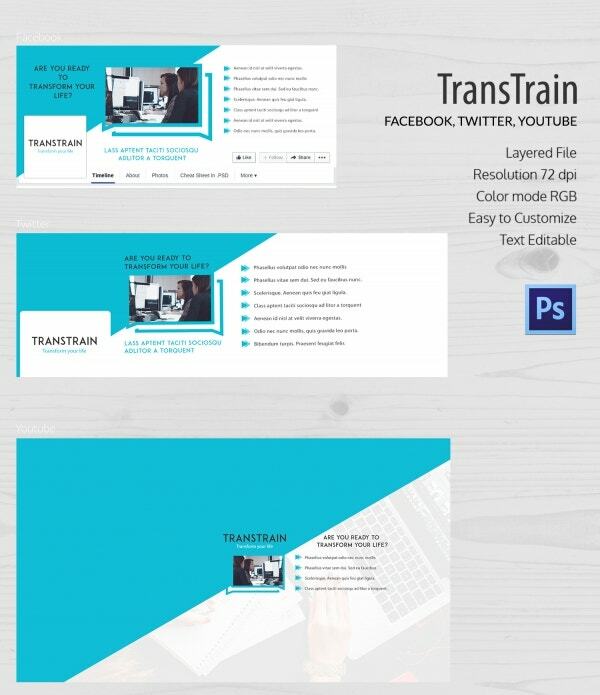 This rackcard template here will allow you to spread the word about your training organization with multiple pictures, one big picture at the top and 3 small ones at the bottom. In between, you are getting a sizeable space to write about the main highlights of your training institute, in paragraphs, bullets, and illustrations. If you are looking for ideas on the social media profile of your training organization, this social template here would be a great thing for you. It allows you good space to upload a promotional image of your organization and you also have a bullet-area to be more precise about the main features of your organization.